As a coach, I’ve worked with young adults and at times, even teens. It’s during these sessions, or those with parents, where the issue I approach below seems to come up over and over again. A dear friend of mine believes he was raised the same way his brother had been. Both of them had been left to their grandparents whilst their own parents worked long days and both received the exact emotional ‘treatment’ and ‘abandonment’ from their parents. Despite all the similarities, they grew up to be very different from one another. A 40 year old client of mine grown to be very different from his only brother too. Whilst he works in finance, his brother works in music. They grew up in the same environment and family dynamic, but having worked with them both in my coaching, I can confirm that they couldn’t be more opposite. We’ve got the over-responsible mature adult and the under-responsible rebel (see my blog on the responsibility for more info on the difference). One of my best friends from my university days, is the first of 4 children (3 girls and a boy). During the years that we were close, I noticed that the oldest girl embodied the responsible adult, the second became the rebel and the third, the baby of the group… I wasn’t around long enough to see which role the 4th child took on, but it’s always interesting to observe how we take our place in the family lineage depending on which ‘number’ we are. There seems to be a trend, or rather, a most likely scenario. One of my clients, also one of 4, has a similar dynamic as the one above. The eldest two girls became the responsible ones, the third the rebel, and the fourth, the free-spirited one enjoying his life to the full. Another friend of mine, now over 60 has three kids in their thirties. The first took on daddy’s girl, the second became the rebel and the third, the baby of the trio. To name but a few more extreme examples… Two other clients of mine, one was born as the 11th sibling and the other the 8th, and both with disgruntling experiences of parents forgetting their names. My own experience included a little brother, one I share so many differences and similarities with. We’d both taken the role of the ‘responsible’ one but at different stages of our lives. For many years, he would be mum’s golden child that could get away with anything and I’d try my luck for some attention by being good and overly responsible. In adulthood, we reversed roles and he became the responsible one whilst I rebelled and was labelled the ‘black sheep’ of the family. My daughter experienced being an only child. Although her father had two kids from his previous relationship, they were much older than her so much like my mum, Stella was raised a single child with two parents who went on to divorce. I’ve used all these examples to mainly show that no experience is the same. Although there are many similarities in the roles various siblings take on depending on which place they take in the birth order, there are also many variables that mean that every experience is unique. As parents, as crucial as it is to educate ourselves on the experiences our children have in their varying roles, it’s also important to pay attention to each specific child’s nature. No matter how similar the environment or family each child grows up in is, every child is different. The more aware we are as parents, the more we can give to our children, because it does not solely come down to which ‘number’ that child is, although undoubtedly that does have a major influence. As parents we might ask, but if they’ve been raised in the same way, how can there be such a stark difference? Really, the answer to that is that there is no same way. We have our children at different ages and stages of our lives as parents, and this influences how our children perceive us, which is already a major difference. Each child then has they’re own innate temperament: they could be quiet and intuitive or born with an entrepreneurial streak; one could be a perfectionist, whilst the other finds order in chaos; one could lead with their emotions, and the other with their intellect. So if there are so many variables, do we need to take the place in which each child finds themselves into consideration? I would say it’s still incredibly important to do so. The first child, George, was an only child for around two years, which means that for the first two years of his life, he got everyone’s full attention. As an extreme case, in that he was born and heir of the throne, not only did he receive his parent’s attention, but that of the world’s. For Charlotte and Louis, life will already inevitably begin differently. They will never experience what it is to be single children. 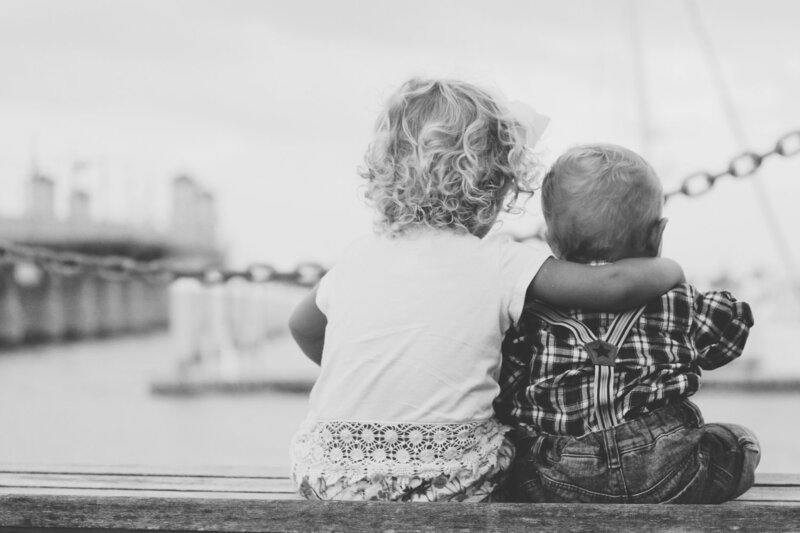 They’re born with the company of siblings and so their first task growing up is to understand how to get attention and love differently from the sibling(s) born before them. Typically (of course, not always), the first child has the role of single child until another is born, at which point they tend to become the responsible child. If the second child, who’s just been born, goes on to find that being responsible doesn’t get them attention also, then they find a different way of being that does. Normally, this tends to mean taking on more of a ‘rebellious’ role (the opposite of responsible), but this varies as I saw in my only family dynamic. I was the golden child for three years, fully responsible, until my baby brother arrived and took on the responsibility for my mum’s happiness, at which point there was a role reversal and I took on being a rebel for attention. Another famous example of this playing out is with the royal family of Montecarlo. The first daughter took on the responsible role, the son who followed became the rebel and the third sister, remained the ‘baby’ of the family. What about the difference in years between the first born and the children that follow? What about gender? What about the special bond that’s developed between one child to each or both parents because of the various reasons laid out above? All these questions and variables are valid, which is why the main point to take away from this blog is that every child and situation is unique. There is no parental manual because no two children will ever be the same. A child who spent the first ten years of their lives a single child might not go on to take the responsible role when child two comes along, nor will child two necessarily take on the rebel persona, simply because of the huge age gap. Certainly that the order in which children are born directly impacts their development and the family dynamic. As we’ve seen however, there are so many other factors that, over time, can affect children and their relationship to their parents. Awareness is the tool that helps us navigate parenthood beyond all these factors that remain out of our control. At times, it’s not so much when our child is born, but the similarities or differences we share with our children that creates the difference in the way they develop. If we blindly take to the child most similar to us, or oppositely, push them away because they’re too similar to us, we affect who they become. Awareness allows us to react and relate to our children from an authentic and loving standpoint no matter the projections or transferences we might experience. Awareness makes us more sensitive and empathetic to each of our children’s individual experiences… it’s not about being perfect, but we can certainly transform ourselves to allow our children to grow up and be the most authentic version of themselves possible, regardless of their place in the order of the family.